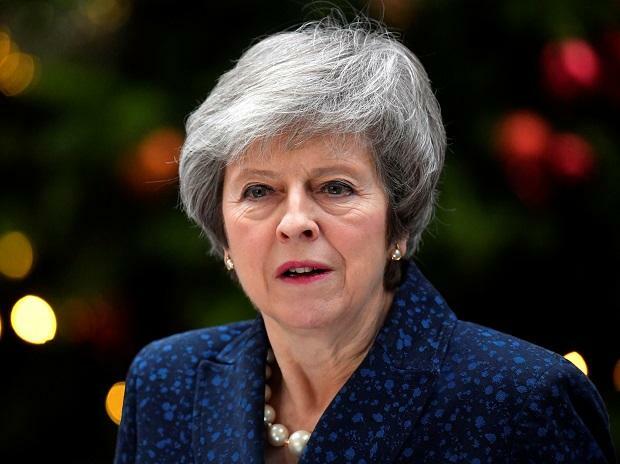 UK Prime Minister Theresa May's Conservative Party government braced for a vote of no confidence on Wednesday, a day after she suffered a historic defeat in Parliament where lawmakers roundly rejected her Brexit plan. Her agreement setting out the terms of Britain's exit from the EU, the result of two years of negotiations with Brussels, was rejected in the House of Commons by a majority of 230 lawmakers -- the worst defeat for a sitting government in the country's democratic era. It was turned down by a crushing 432 votes to 202. The confidence vote was expected to be held at about 7 p.m. GMT, the BBC reported. In response to the significant defeat, which had been widely predicted by political observers, opposition Labour Party leader Jeremy Corbyn said he would table a motion of no confidence against May's government. "This is a catastrophic defeat. The house has delivered its verdict on her deal. Delay and denial has reached the end of the line," Corbyn told the Commons, the lower chamber of Parliament, as he announced the motion, something which had also been expected in case of May's defeat. The Prime Minister told MPs she would return to the Commons with an alternative plan next week, provided she survives the confidence vote. May delayed the initial parliamentary vote on her deal in December when it became clear that it would not make it through the chamber. The European Union's chief Brexit negotiator Michel Barnier said the withdrawal process was "at a standstill". "So, in this context, it is up to the British authorities today or tomorrow to assess the outcome of this vote and up to the British government to find how we are to take things forward on March 29 towards an orderly withdrawal," he told the European Parliament. Some 118 members of May's Conservative Party, including pro-European Tory MPs and hardline Brexit supporters, rebelled against the government in Tuesday's vote. As did the 10 parliamentary members of the DUP, a right-wing unionist party from Northern Ireland and ally of the Conservative government. The formation of right-wing Tory backbenchers, collectively known as the European Research Group, and the DUP signalled they would back May in the motion of no confidence, making it less likely for Corbyn to be able to force a general election. If May gets ousted, then the government would have 14 days to present a new leader. However, if that candidate also fails to secure the confidence of Parliament and no viable alternatives are presented, then the UK could head towards an early election. May survived a no-confidence motion lodged by hardline members of her own party in December. According to Conservative Party rules, such a vote cannot be tabled for another year, meaning that if she withstands Labour's attempt to oust her, her job would be safe. The UK is slated to leave the EU on March 29, exactly two years after May officially notified the EU of the UK's intention of exiting the bloc by triggering Article 50 of the Lisbon Treaty. Also, there had been increasing calls for a second referendum. The UK electorate decided to leave the EU in a referendum in 2016.